"It bit me!" he said, showing them his hand, which was wrapped in a bloody handkerchief. "I'm not going to be able to hold a quill for a week. 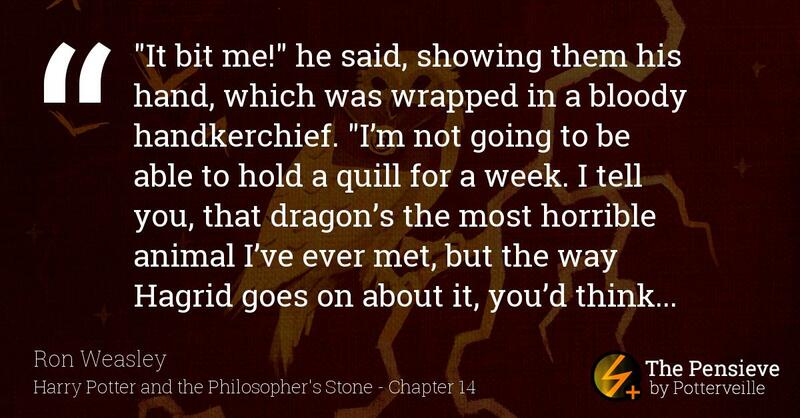 I tell you, that dragon's the most horrible animal I've ever met, but the way Hagrid goes on about it, you'd think it was a fluffy little bunny rabbit. When it bit me he told me off for frightening it. And when I left, he was singing it a lullaby."